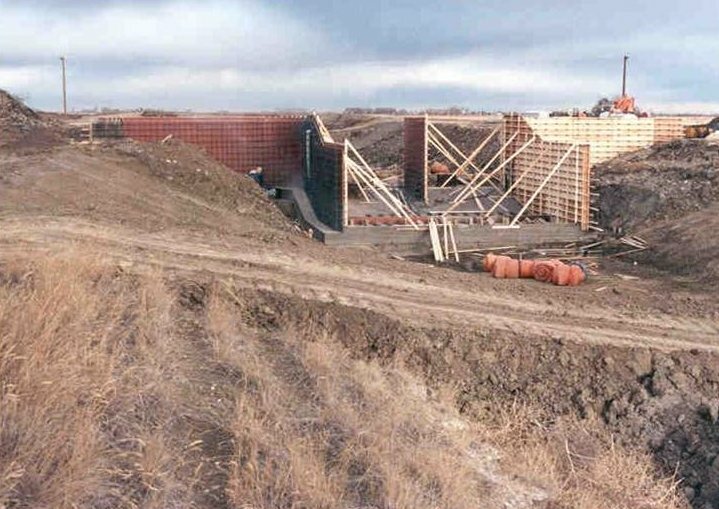 Work involved construction of a new control building for the St. Mary Dam and Spillway. The work also included mechanical and electrical upgrades to the irrigation tunnel and low-level diversion tunnel. Work involved the preliminary design, final design and construction inspection for the installation of control gates on Check Drop 6. The gates were necessary to provide a constant water level for the Keho Barons Irrigation Project. Work also involved the design, programming and commissioning of the automation system and integration into the AENV SCADA System. 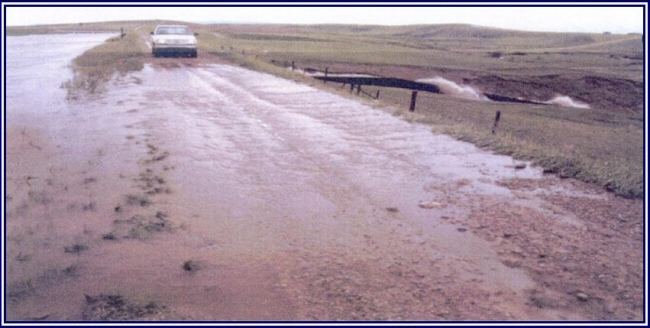 Project included the replacement of the outlet structure at the South McGregor Dam and upgrading the north and south dams to Dam Safety standards. Outlet structure include six 2.4 m by 2.4 m heavy duty sluice gates, c/w a control building with all necessary electrical systems and controls and a back-up generator. 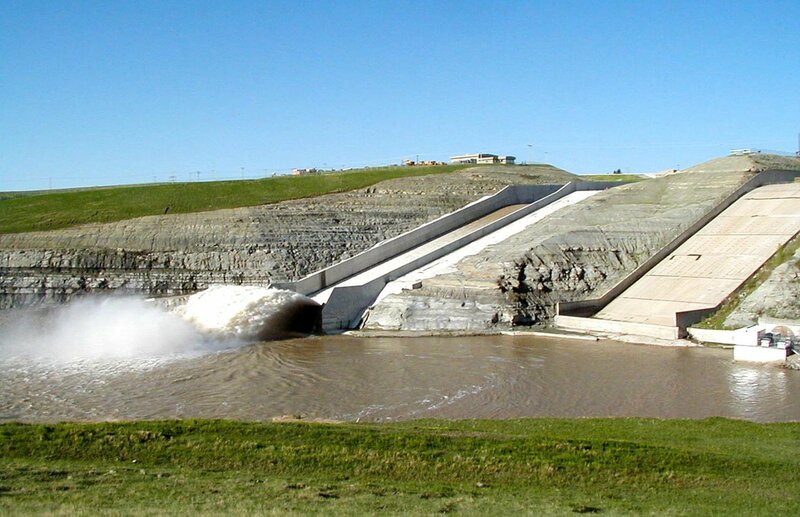 Work included design and rehabilitation of a 275 m long, 11.3 m high dam, service spillway, low level outlet, auxiliary spillway and shoreline erosion protection works. 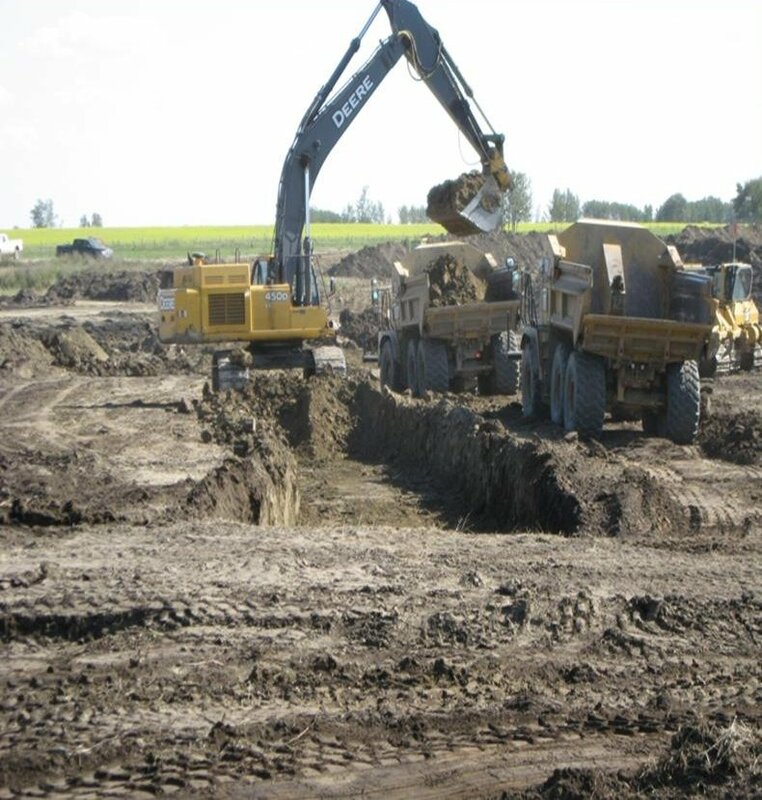 Work involved the rehabilitation of 3 kms of earth canal known as the Big Cut. 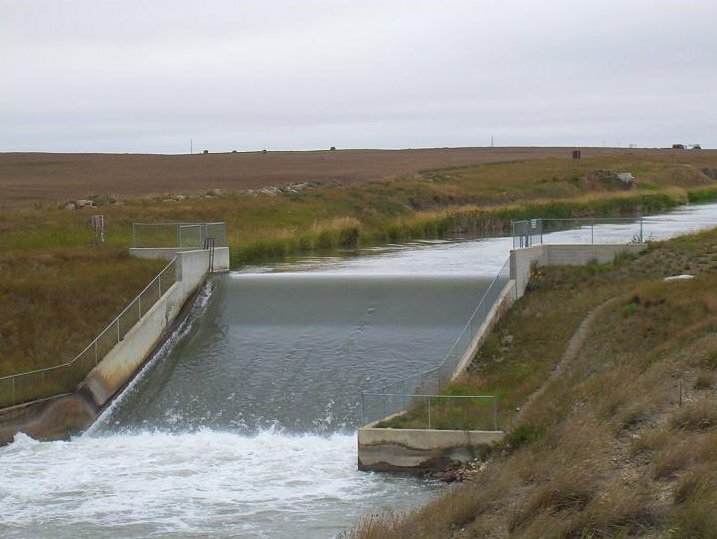 This portion of the Carseland-Bow River Headworks system is unique in that it involves cuts of up to 25 m from original ground to canal invert. 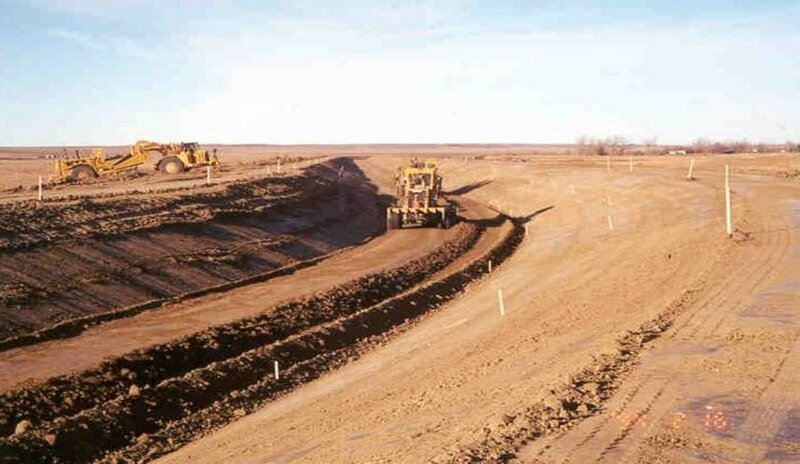 Work involved the rehabilitation of 8 kms of earth canal including two major control structures (Drops 2 and 3). Work also involved the preparation of a Hydro Power Feasibility Study at Drops 2 and 3. Preliminary Engineering is complete and construction is scheduled to start in 2006. 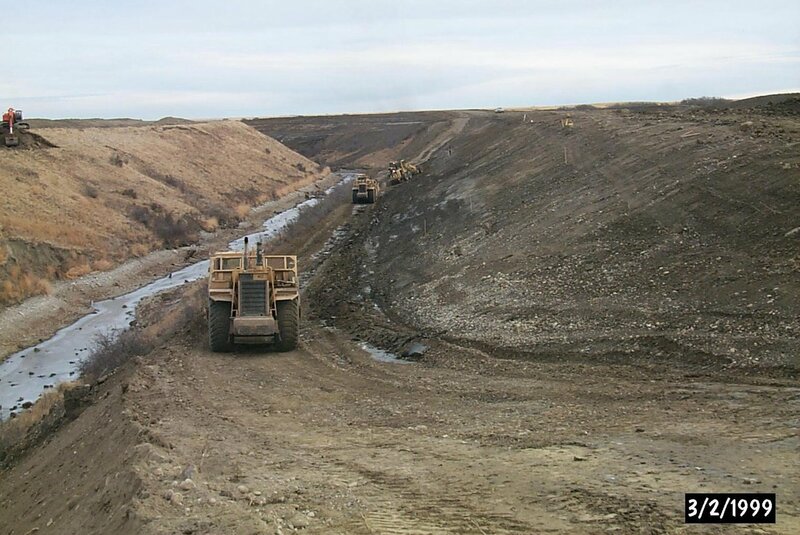 Work involved the stabilization of the North Dam and reconstruction of the East Dyke. The North Dam was stabilized with construction of a Toe Berm and the entire Dam was raised 0.75 m to restore the original design height. 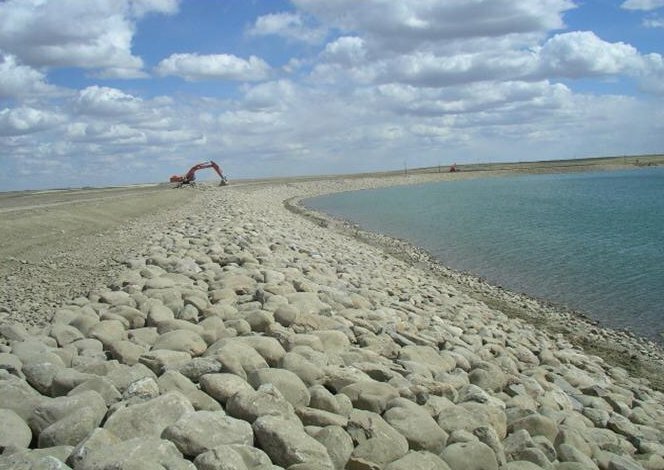 Work at the East Dyke involved Riprap slope protection for its entire length. Monitoring equipment was installed at both sites. 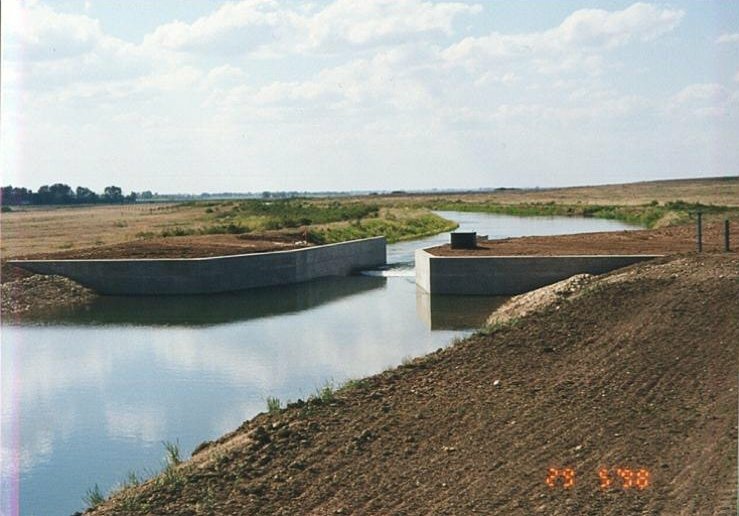 Two steel sheet pile control structures with stone-paved outlet chutes and earth dams were constructed to stabilize and control water levels. The project included cleanout of existing creek channel, including removal of beaver dams, willow growth and sediment deposits. 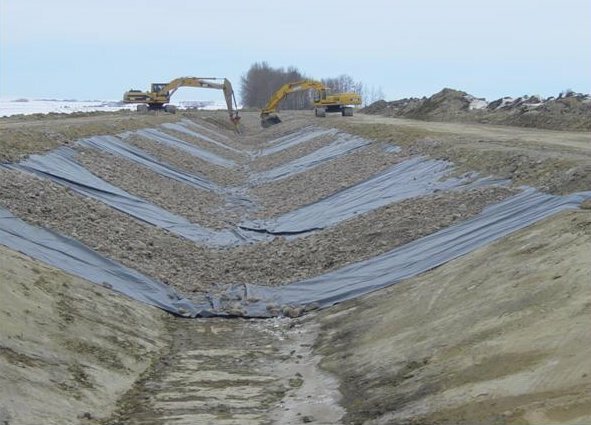 MPE partnered with SNC Consultants for the rehabilitation of 12 kms of the East Branch Canal. Work involved the rehabilitation of 10 kms of earth canal. Rehabilitation involved the reconstruction of the canal complete with plastic membrane liner and several major relocations. All control structures were replaced with cast in place concrete structures. A total of five control structures were replaced complete with overshot gates and SCADA control system. Work involved the preliminary design, final design and construction inspection for the replacement and rehabilitation of control structures on the Lower East Branch Canal. Work also involved the design, programming and commissioning of the automation system. The system is a fully automated upstream level and flow control system and is integrated into the EID SCADA System. 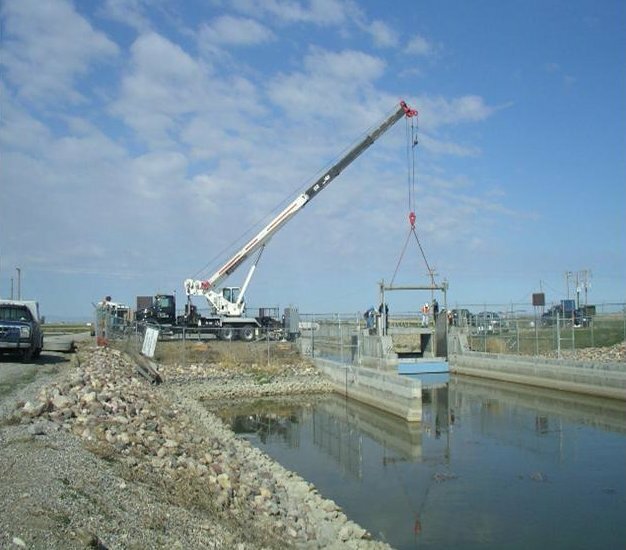 Work involved the preliminary design, final design and construction inspection for the Ramp Weir. 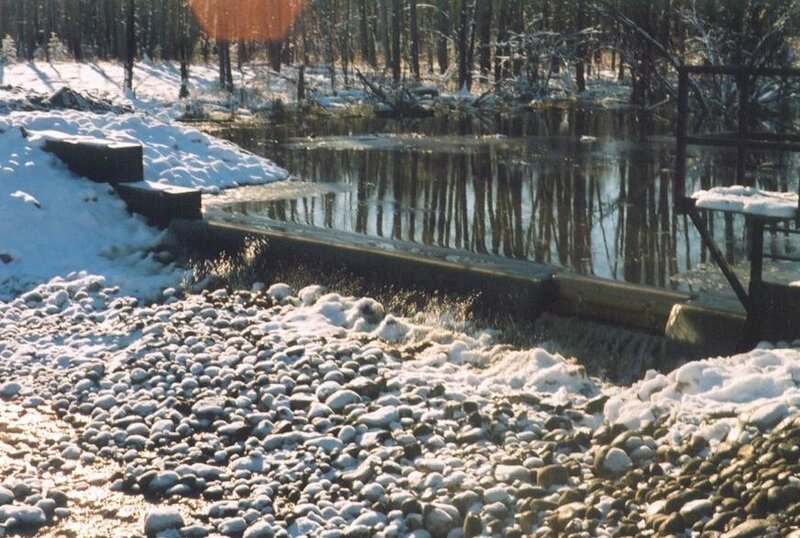 This installation was the first of its kind in Canada and measures flow from 10 cfs to 300 cfs with a maximum headloss of 200 mm through the structure. The system is a fully automated upstream level and flow control system and is integrated into the EID SCADA System. Work involved the rehabilitation of 5 kms of earth canal. 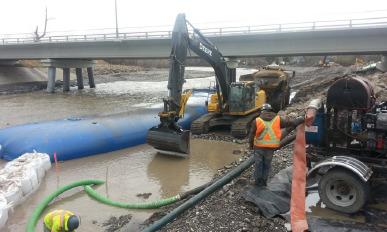 Rehabilitation involved the reconstruction of the canal complete with plastic membrane liner and major relocation. All control structures were replaced with cast in place concrete structures. 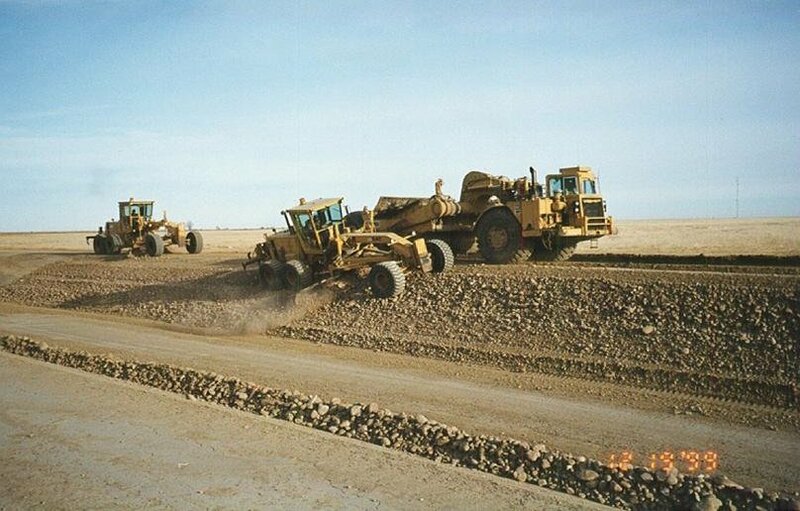 Work involved the rehabilitation of 14 kms of earth canal with a maximum capacity of 11.3 m3/s. Rehabilitation involved the reconstruction of the canal complete with plastic membrane liner and several relocations. The work also included the replacement of 28 farm turnouts with precast concrete structures. 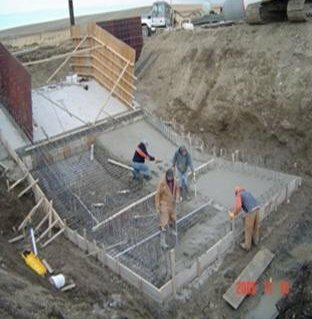 All control structures are being replaced with cast in place concrete structures. A total of seven control structures are being replaced complete with overshot gates and SCADA control system. 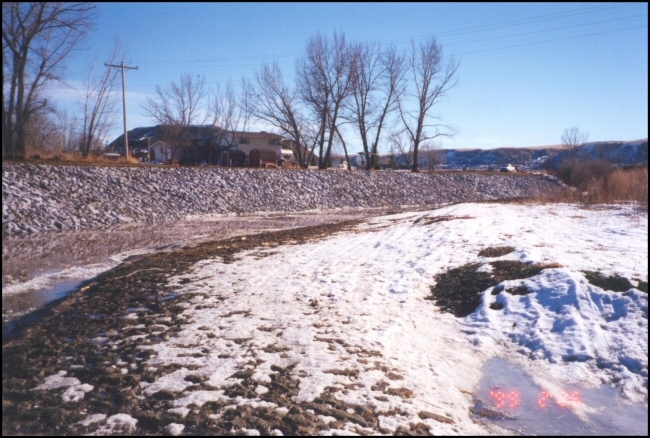 In the spring of 1997, high run-off flows and the sudden release of an ice jam caused severe bank erosion on the Rosebud River, just upstream of the mouth of the Red Deer River. 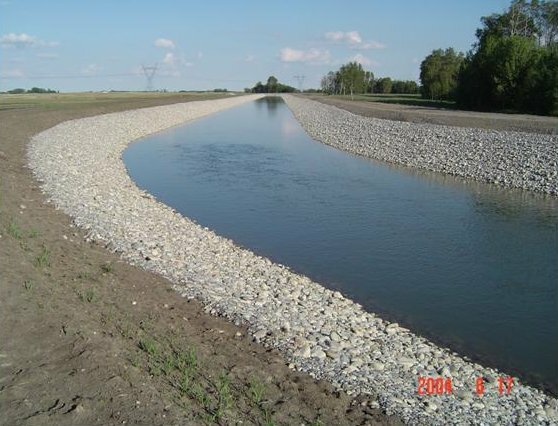 The project consisted of approximately 225 metres of riverbank rehabilitation and bank reconstruction, bed preparation and placement of rip-rap erosion protection material. 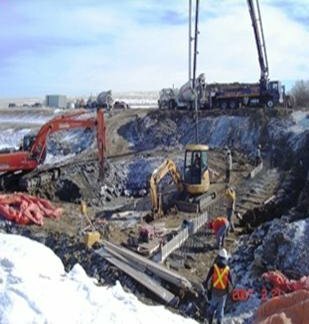 The project included the design and construction management of a cast-in-place outlet structure with an automated radial gate; electrification and automation of the North Chestermere Headgates; flow measurement at Secondary ‘C’ Canal Drop Structure #1. Design capacity is 18.7cms. 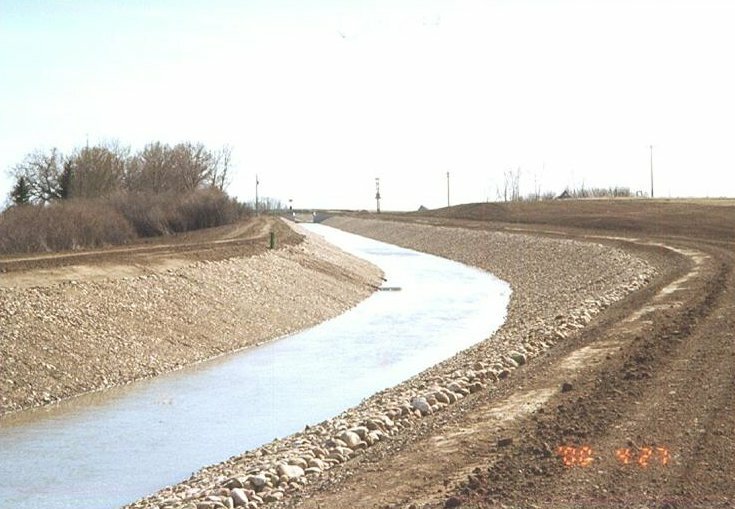 The project included the design and construction management of two cast-in-place drop structures on the Secondary ‘A’ Canal. Design capacities are 9.4cms and 8.8cms respectively, serving 23,000 existing and potential irrigation acres. Rehabilitation of Secondary ‘A’ Canal (Q= 28.3 cms) and associated structures including lateral turnouts, farm turnouts, spillways, drop structures, road crossings and drain inlets. Cast-in-place concrete structures included two drop structures and the 12-mile Spillway (Q=10 cms). 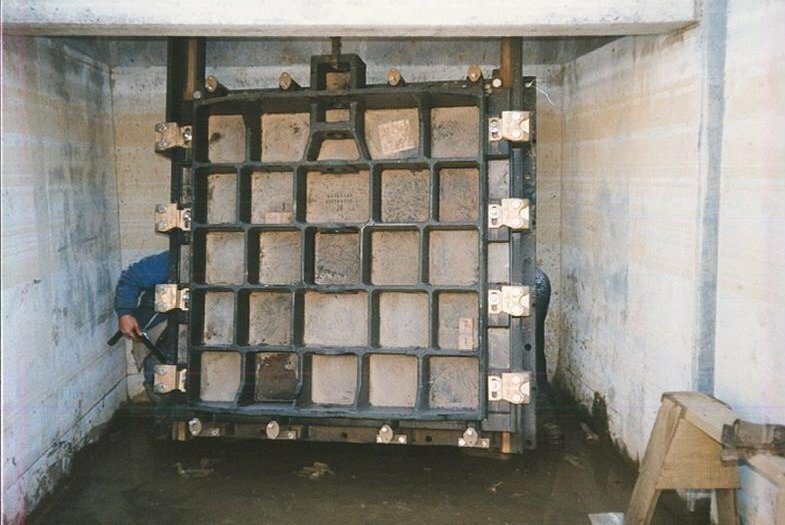 Gate rehabilitation included refurbishing the electrifying the Langdon Reservoir outlet gates as well as a new solar powered gate on the 12-Mile Spillway Structure. The project included the design and construction management for the rehabilitation of 11 Km of Secondary ‘A’ Canal. Design capacity is 26.8cms, serving 70,000 existing and potential irrigation acres. Canal seepage investigation including soils drilling; piezometer installation, monitoring, and result interpretation. Canal rehabilitation with reinforced polyethylene liner, armour, farm turnouts and drain inlets (Q=2.3 cms).